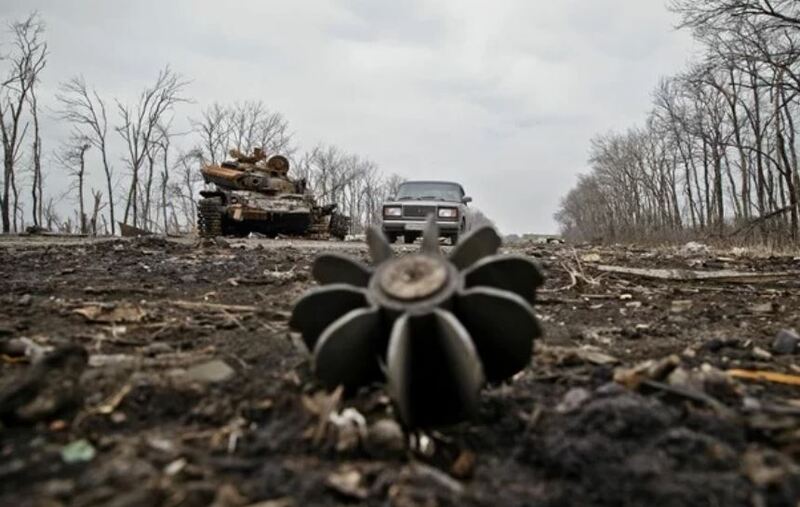 Pro-Kremlin mercenaries attacked the temporarily occupied Pikuzy (Donetsk region), Zolote-5 and Sentyanivka (Luhansk region). The press office of the Joint Forces Operation HQ reported this on Facebook, referring to the data of the Joint Control and Coordination Centre. Shells hit Pikuzy, damaging houses in the town; two shells made large holes in the ground 50 meters away from home. OSCE SMM reported that on March 23. The Organization's monitors also saw shattered window glasses and holes in the metal doors. In Zolote-5, the observers saw a shattered window in a loving house and a hole in the ground next to it. The SMM assumes it could be a mine explosion, which came in from the south. This is mentioned in the report dated March 25. In Sentyanivka, the OSCE monitors saw three holes in the ground on the same street - all of them some 50 meters away from a residential house. They also reported shattered window glass and a hole in the wall. In all cases, the Joint Control and Coordination Centre explained that the closest position of Ukrainian troops lay too far from the areas under these attacks. Besides, in the case with Pikuzy, there were positions of Russian mercenaries in that direction, which points out to the fact that it was them who opened fire.